I’ve put together 4 ways you the dedicated Dart 18 Sailor can stay abreast of when and where each regatta is happening. Unfortunately sometimes we as the committee don’t have the time to push out a newsletter to remind the fleet as often as we can simply due to time constraints. Details for the 2014 Tarpave Mpumalanga Open Cat Champs. 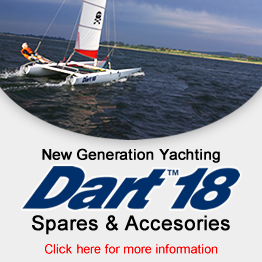 Win a brand New Dart 18! Feedback and report from the first of the Gauteng Dart League held at Boskop Yacht Club. Thanks to Iuan Gray for putting in the effort. Details about the upcoming regatta at Boskop which forms part of the Gauteng Dart League. Need an excuse to sail Worlds in 2014 in South Africa? Well here are a few. Subscribe to the Worlds only mailing list. Why Stilbaai Yacht Club as Host?